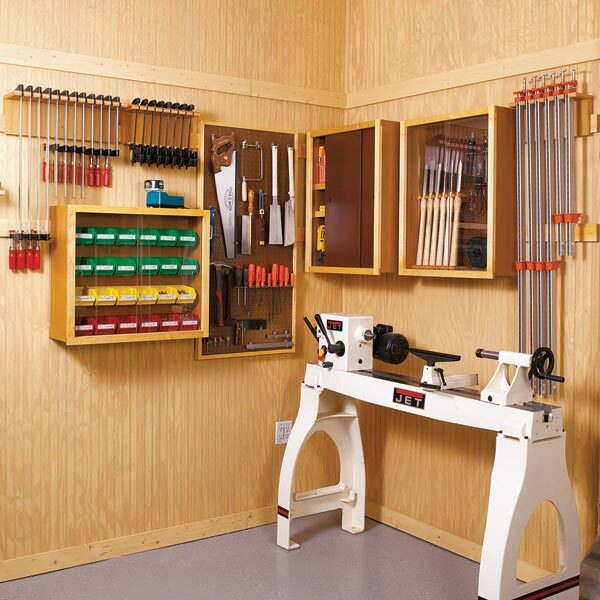 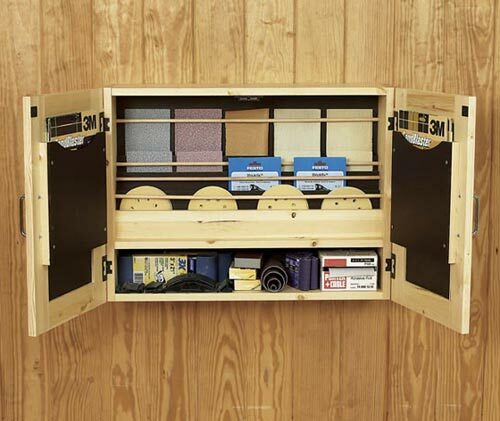 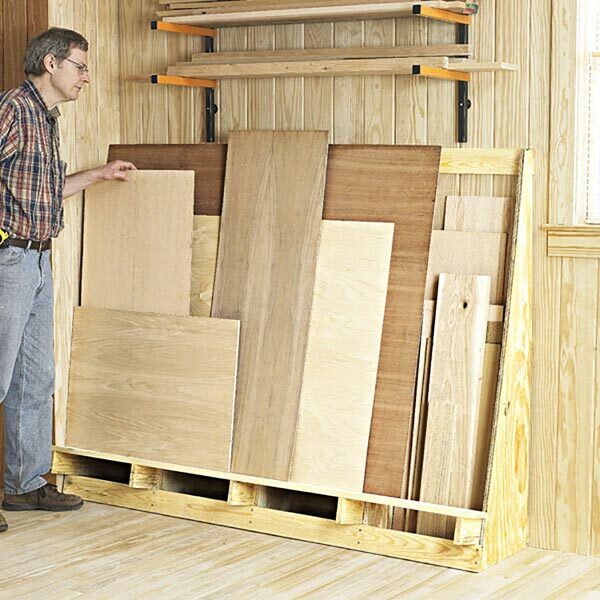 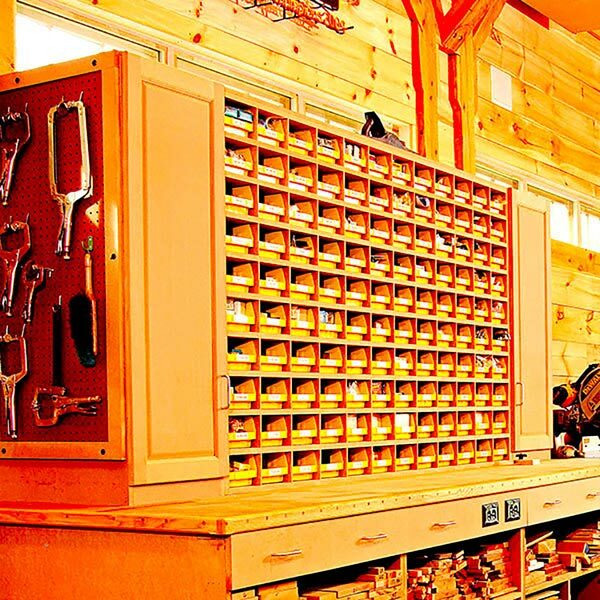 With multiple sections, this rack makes it easy to find the right piece. 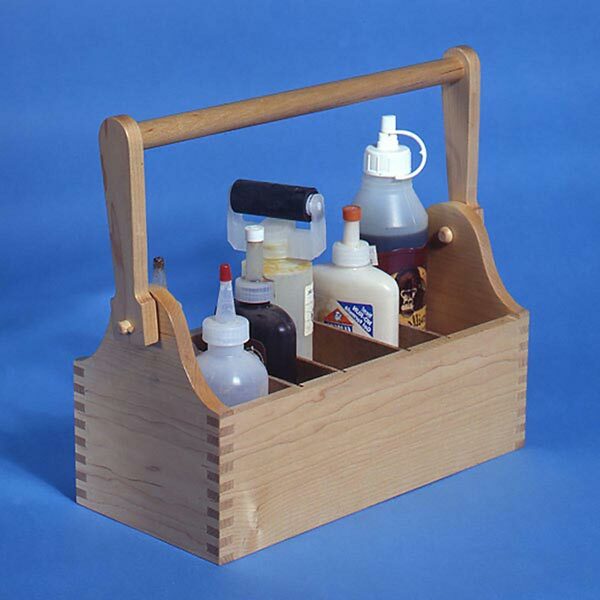 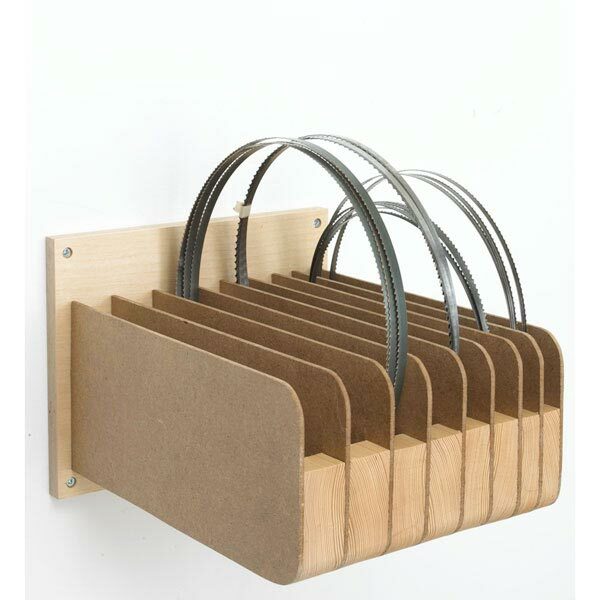 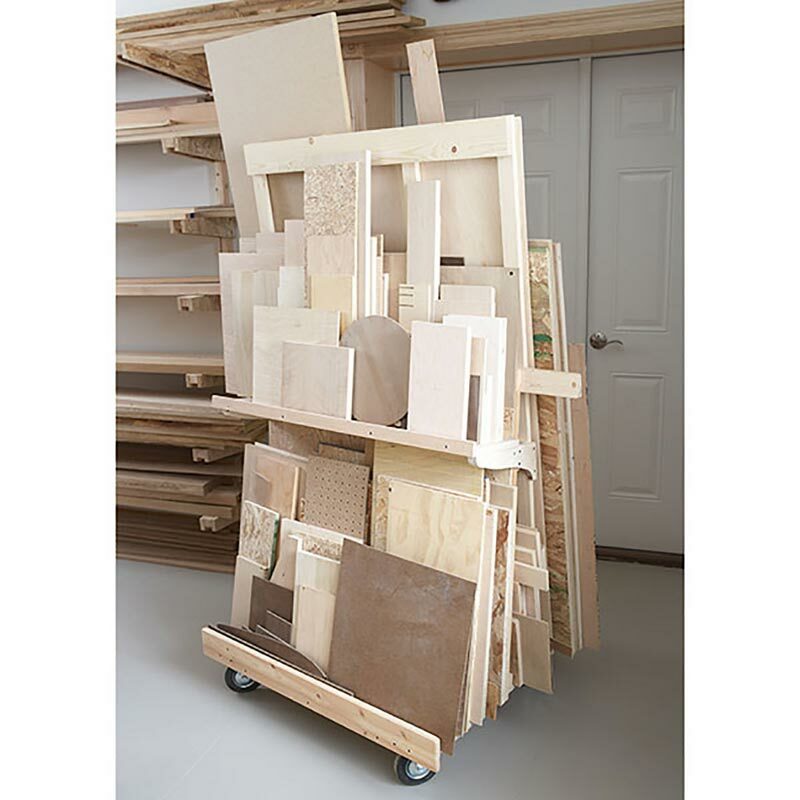 Tom Whalley, project designer, created his to hold plywood and other sheet goods he knew he'd use later. 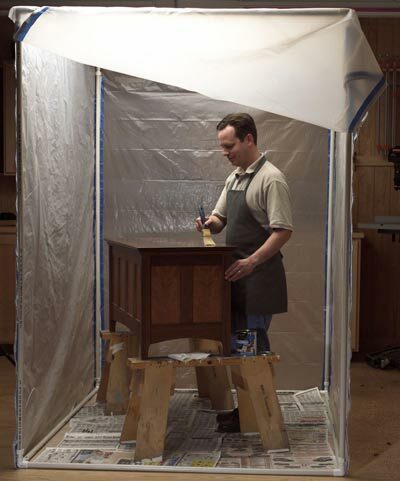 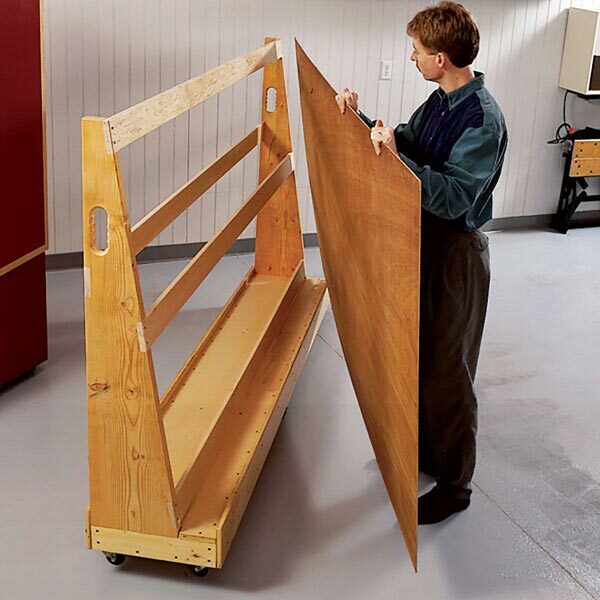 Swivel casters make it an easy task to move even larger sheets around the workshop.